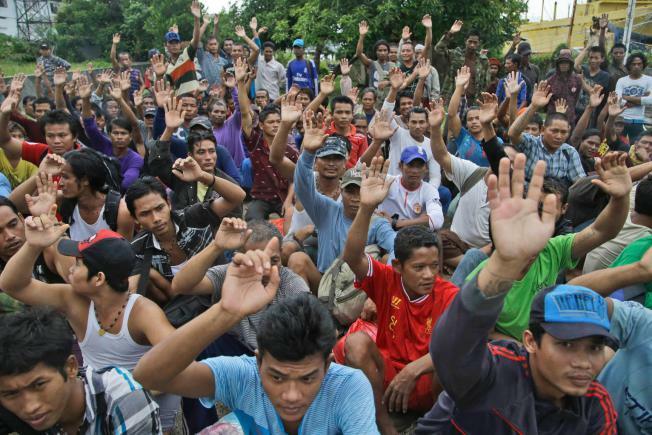 After an investigation by the Associated Press there has been a release of more than three hundred men in Indonesia. A video was released of men locked in cages and of the 'slave graveyard' wh ere the numerous bodies of the deceased were laid after unspeakable acts of abuse were carried out. Indonesian enforcers carried out interviews with the men to confirm the stories presented in the AP report, which having been proven true, resulted in clean up of what has been necessary in the Thai fishing industry for years. Given it is the third largest exporter of seafood in the world, and is linked to hundreds of supermarkets particularly in the US, there has been pressure to see more transparent regulation in fisheries for years. "Throughout the day and until darkness fell, they kept coming, more and more men, hugging, laughing, spilling onto the seven trawlers that were their ride out. Even just before the trawlers pushed off Benjina on the 24-hour trip to neighboring Tual island, fishermen were still running to the shore and clambering onto the vessels. Some were so sick and emaciated, they stumbled or had to be carried up the gangplank." The Guardian wrote about extensive use of slave labor on Thai “ghost ships” that enslave and saw the death of many labourers.The global supply chain was able to be directly linked to these products and Thailand is known as one of the world's leading producers of shrimp from farms.